Aruba is a small island in the Caribbean which offers sunshine nearly all year long. The main driver of growth is tourism and for such a small territory, it is visited by more than 1.5 million visitors every year. This is why most of Aruba activities are geared toward making sure the tourists will have a good time. Among the Aruba activities, you can enjoy horseback riding, hiking, mountain biking, snorkeling, swimming, and diving. From islands to highlands, there’s sure to be something for you. But how do you explore beautiful spots in Aruba with only a paddle and a kayak? This is exactly what Aruba Kayak Adventure is offering—a guided tour of selected spots in the island at the hands of a knowledgeable local. But this is not going to be just a sightseeing escapade. You will learn also about the rich history of the island, assimilate with the local culture, and have a feast of local fresh produce and seafood. Your adventure will start at Savaneta. It used to be the island’s capital town until 1797. It’s appropriate that your journey begins here because this is where the headquarters of the Netherlands Marine and Navy are located, and you will learn the history of the Dutch and the Islanders. You will also find here the island’s oldest hut. Tourists will then navigate through the open water and pass by the Spanish Lagoon, which features a rich biodiversity supported by mangroves and mudflats. For history buffs, this spot was known to be very familiar to sea pirates. Maybe you can dig up some stolen treasures? Unlikely, but it’s a cool tale to tell the children. Then you stop over at the Mangel Halto Beach where you will get a chance to explore the mangrove forest and sip on some refreshments. After a quick break and seeing what the island looks like from the sea, you will now have the opportunity to see the underbelly of Aruba. 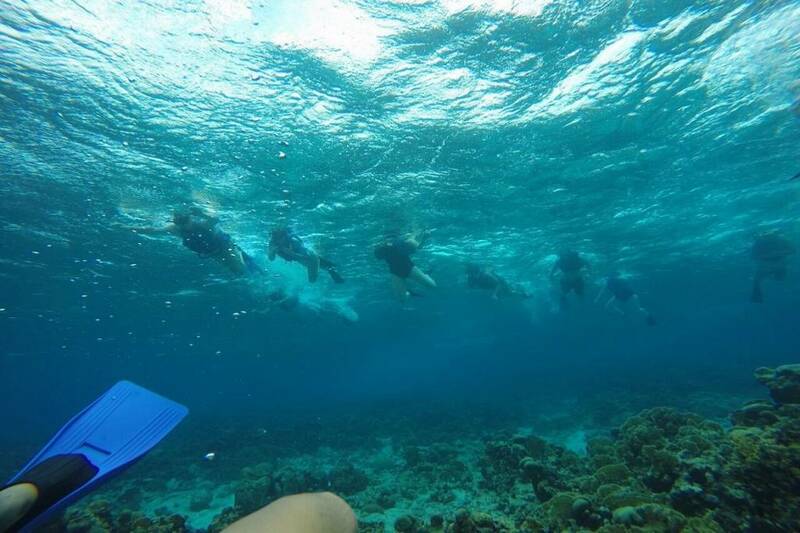 You will put on your diving equipment and explore the reef. For first-timers, don’t worry. You will be in the hands of our expert and licensed diving instructors who will guide you the whole way. If not, snorkeling is also available. All these Aruba activities will surely make you hungry. You then paddle back to the Savaneta, our starting point, and change into dry clothes. You will then be ferried to the National Brewery and Balashi Beer Gardens in Oranjestad. You can also take time to explore the capital city of Oranjestad. It offers a change of pace from the sleepy villages to a bustle of Aruba activities. See how progress has invaded this island and how the city planners manage to protect the environment at the same time. For a bit of shopping, there’s the Royal Plaza. 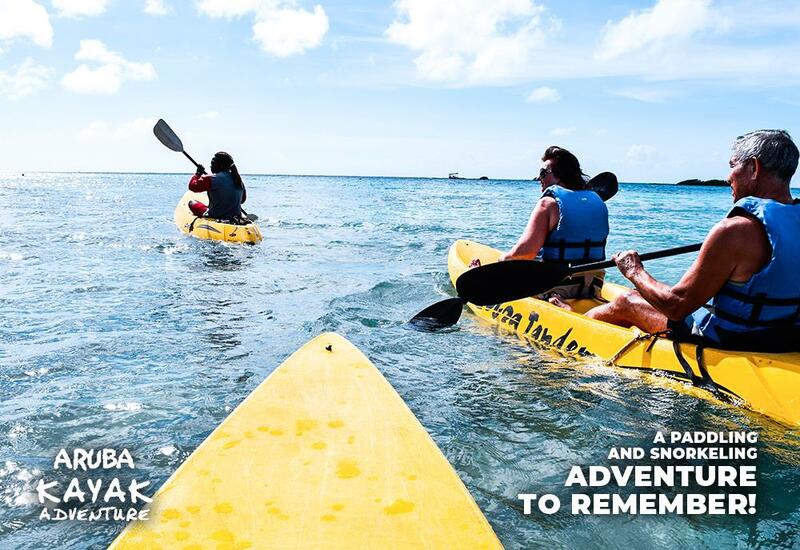 The Aruba Kayak Adventure has launched its new website to make it even easier for visitors to book their next trip. 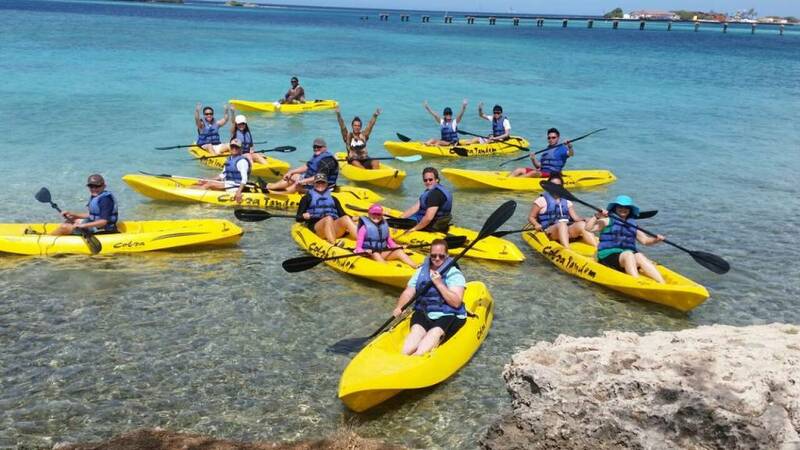 Aside from kayaking, there are also other Aruba activities that you can do through our assistance. For instance, there’s also a diving tour where you can explore actual shipwrecks and a crashed airplane. The reefs are home to a rich biodiversity of tropical and indigenous sea creatures. What about sharks? There have been sightings here and there but it’s unlikely you will encounter one. For the record, there’s never been a shark attack in Aruba. You can also tour the island on board the 42-foot multi-hulled Trimaran Sailing Yacht and stop at known snorkeling sites. Lunch is provided on board. Choose your Aruba activities and book for tours from Monday through Saturday. You can also book a special trip on Sunday as long as you inform the company in advance.